One of the best things about living in Ohio in August is the abundance of freshly picked tomatoes. You can actually smell their sweet ripeness from afar. These beauties need little adornment… a pinch of salt, a grind of pepper, a splash of good olive oil and perhaps a drizzle of fine balsamic. This simple tomato salad really doesn’t need a recipe. But for those who do… here are the steps that will take you straight up to heaven. 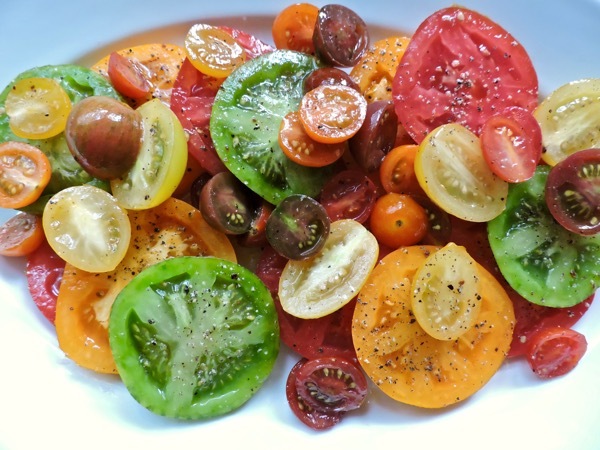 Start with two large red tomatoes and one cup of mixed heirloom cherry tomatoes. Core and cut of the very bottoms off of the red tomatoes, then cut each of the large tomatoes into quarter inch slices. Place in a bowl, season with salt and pepper. Toss with one tablespoon of good olive oil. Right before serving sliver fresh basil leaves to make one loosely packed quarter cup. Place the tomato slices on a platter. Top with the cherry tomato halves, spoon any remaining juices and olive oil over the tomatoes. 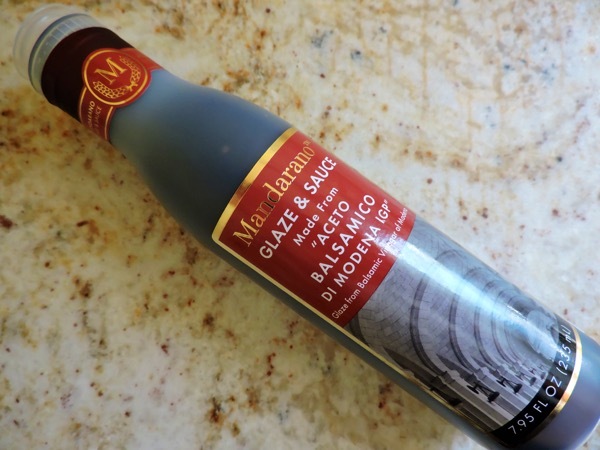 Drizzle with a good balsamic glaze, one of my favorites is Mandarano. Scatter slivered basil on top. If you want to make an out of this world caprese… cut one to two balls of burrata into quarter inch slices. Take care when cutting for the creamy center will spread. Top the red tomato slices with pieces of burrata. Then continue with the cherry tomato halves, juice/olive oil, balsamic glaze, and basil.